Can Screen time benefit our kids? I recently had the opportunity to speak with Greg Page, founder of Discover, Explore & Grow, as a part of today’s sponsored post as part of the Mom It Forward Influencer Network. I wanted to share some things with you. 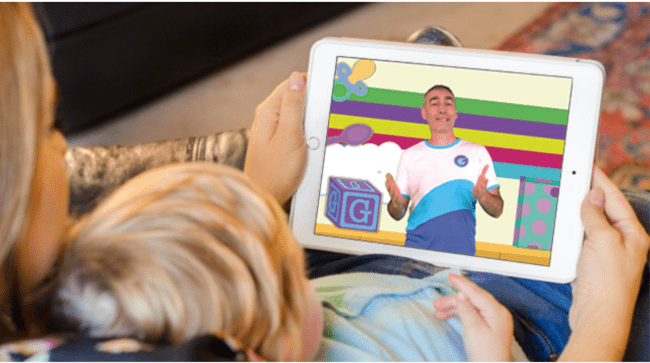 Greg, the actor from The Wiggles, is leading a revival of children’s educational television with Explore, Discover and Grow – a series of 104, ten-minute videos released directly to subscribers twice a week. You can be a part of this revival by backing the Indiegogo campaign and get access to all the content created. It covers aspects of the preschool curriculum using music, movement, language, and play, making it the perfect “edutainment” experience for your child. As a teacher and play therapist, I have seen many advantages and disadvantages of screentime with the families that I help. Should Kids Pick What They Watch? When children control their own screen time, it is like opening the pantry door and letting them pick whatever they want to eat for the day. Yes, they will like it, but it might not be good for them. Why do kids watch the same shows over & over? Children choose shows that pique their interest, but they continue to watch it because they know the outcome. When they watch a show over and over, they know what happens at the end. This, unknowingly to the child, produces a feeling of good self-esteem because they were right about the ending. Unfortunately, that means that they will watch that show again & again, even if it has no education significance, just because they liked the way that they felt when they watched it. What if we could provide our children with this same feeling while they were learning? It can be done – we have to guide our children in the right direction. Give them a platform in which they ONLY have the choice of shows that will enhance their minds, helping them to learn and grow. Parents are starting to see the adverse side effects of the mindless watching of YouTube stars opening that prize for the tenth time, while our kids tune in without blinking an eye. They are starting to see that the more time our children are staring at a screen, the more prone they are to becoming anxious and depressed. I have seen my children go from learning about sharks to running off pretending to be sharks. I’ve seen them watch a movie about Knights, only long enough to learn the basics of how to pretend to be a knight. I think that, like anything, there is a key to making it work. If our children are learning and engaging… they are benefitting. Screentime starts at a young age for many families, but we, as parents, can control what it looks like for our children. When our preschool-aged children watch a show, we can make it one that will help them, not hinder them. We can give our kids a safe place to learn without the fear of what they might see when we aren’t looking over their shoulder, screening what they see. If we can give our children fun, engaging content that is also educational, like Explore, Discover and Grow, (picture below) we can teach the whole child. Quiet time is important for our children. Parents often give their kids an iPad or phone to fill their child’s time, but it is actually hindering the child. When a child can find something to do on their own, like reading, drawing, building or playing with toys, they are going to have a chance to make their own stimulation instead of waiting on the app or show to stimulate them. 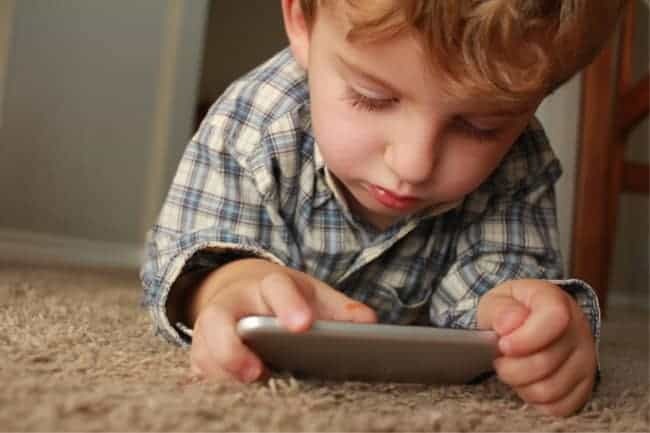 Playing on a device in boring situations will usually keep your kids busy and quiet, but it also means that we are missing the opportunity to teach them patience. We are missing the opportunity to teach them how to manage boredom on their own. Instead, we are teaching them to rely on electronics to keep them busy or entertained. There is a lot to be said in letting kids find their own entertainment instead of us doing it for them. 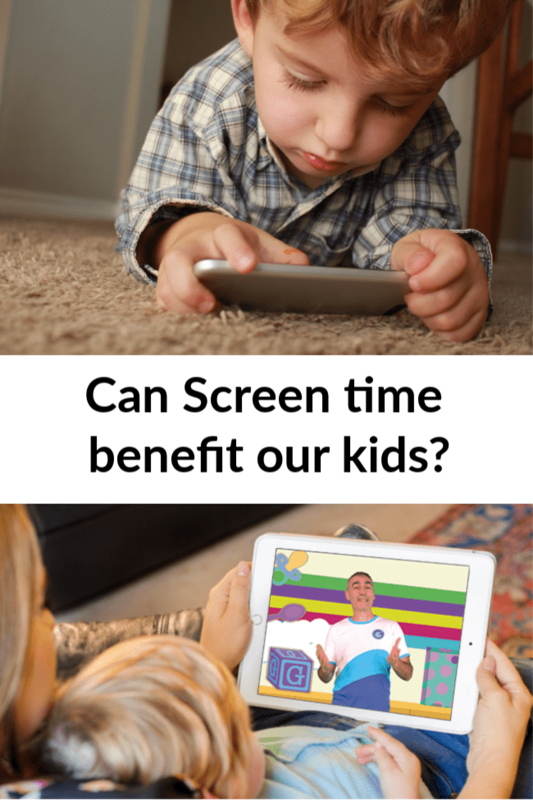 If your children use screens, it is important to think about the benefits that they are getting from that screentime. Are they watching educational shows? Is it appropriate? Are they spending time doing other things? As parents, it is our role to manage this time. Of course, watching a show or playing a game simply for entertainment is OK for kids for a short amount of time, as long as it is appropriate. I can understand the need to relax and unwind, too. However, I don’t want this to be what they go-to when they need a little downtime. There are choices, like Explore, Discover and Grow, that would be more beneficial. Since less than 1 in 8 children’s TV programs is considered educational, I know that I need to do what I can to be sure that our kid’s screentime is helping them in some way. How can we stay involved? I never want to feel like I don’t know what my children are watching. I also never want them to feel like we can’t talk about it. I read a study that showed that when parents ask their kids for details about what they’ve been watching and what they’ve been playing, it bonds them. It provokes conversations that are strong and powerful. It can also take what they’ve learned in the show and help them to apply it to real life. Imagine if your kids were watching an educational show and then turned around and applied it to their daily lives, in a great way… that’s just another benefit of Explore, Discover and Grow. When you help your young children by giving screen time limits and good-quality shows, it will set them up to make the most of the screentime that they get now and in the years to come. How Can We Help Explore, Discover and Grow?